Mitchell Trubisky has missed the past two games thanks to a shoulder injury he suffered against the Minnesota Vikings in Week 11, but there's a good chance he makes his return to the field just in time for your fantasy playoffs. Bears head coach Matt Nagy said he has a strong feeling that Trubisky will play this weekend. However, he did say that he needs to see more out of the second-year signal-caller before he can make a final decision. 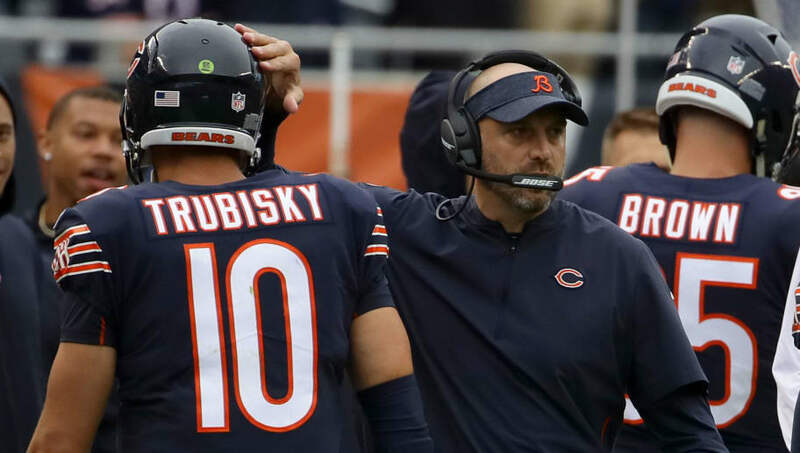 Matt Nagy on Mitch Trubisky: "I feel strong that he will play, but I gotta see more." Needs to evaluate him in practice before he can make a full declaration. Once considered an afterthought in fantasy football, Trubisky become a QB1 before the shoulder injury and has consistently rewarded his fantasy owners throughout the season. If he makes his likely return this weekend, Trubisky will be in an excellent position to be a difference maker throughout the fantasy playoffs with games against the Los Angeles Rams, Green Bay Packers and San Fransisco 49ers in Weeks 14-16. ​Trubisky has one of the more favorable remaining schedules for quarterbacks for the rest of the season and his ability to run the ball gives him higher upside than other viable quarterbacks.